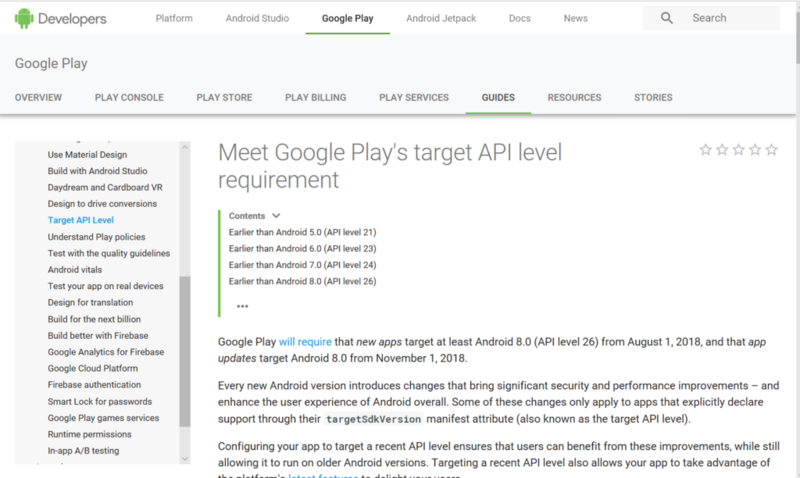 The required ‘Target API Level‘ to release your app in Google Play had already changed to Android 8.0. For new apps leased newly is applied it from August 1, 2018. For the apps already released is applied when you update the app on November 1, 2018 or later. I did not notice about that because recently I’ve never upgraded my application. 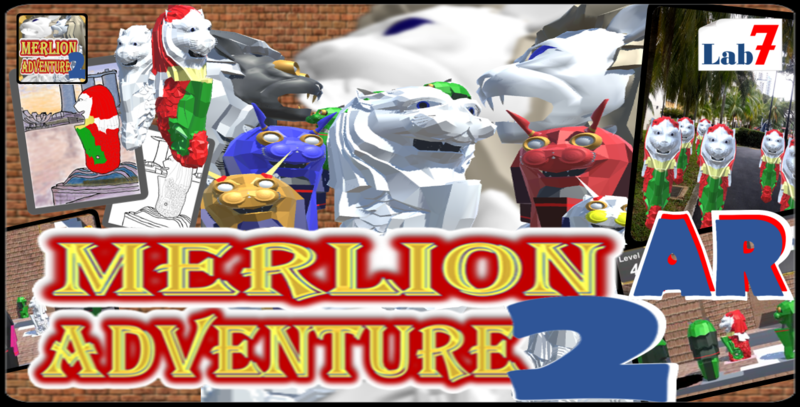 When I released the new my app ‘Merlion Adventure 2 AR‘, finally I could notice. 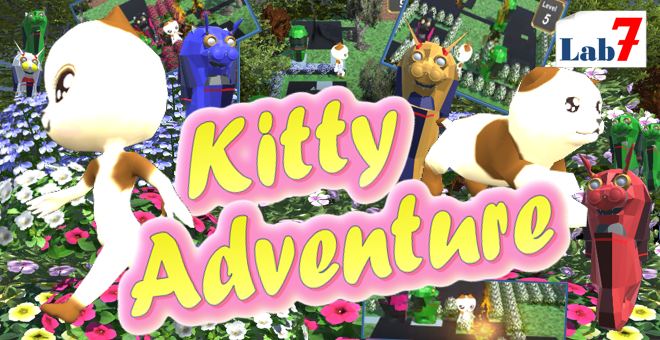 Since originally “Merlion Adventure 2 AR” has AR function, it uses Google’s ARCore as AR SDK. Because the target API that ARCore needed is Android 7, so my app was set as Android 7 for target API. 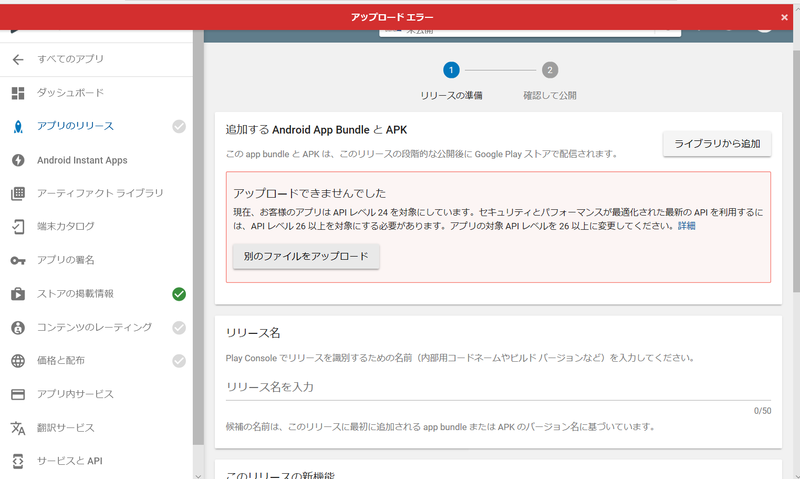 And when I uploaded it to Google Play, the following error happen. The point is, as I wrote at the beginning, if it has already been released, the target API is not restricted even if it is Android 7. However, when you update them or release a new app, the error will be appeared and it can not be published. 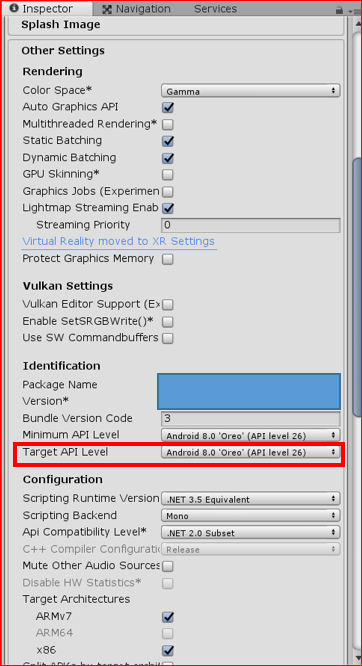 Simply change the target API to Android 8.0 (API level 26). 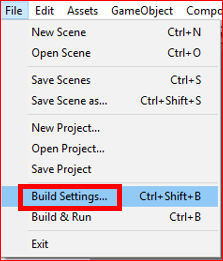 To open the setting screen, open ‘Build Settings’ screen from the following menu of Unity Editor. 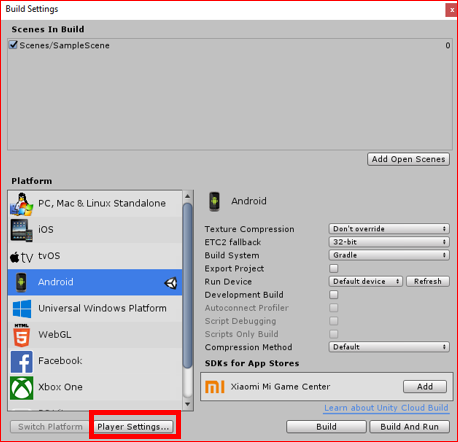 Click ‘Player Settings‘ on the ‘Build Settings’ screen. Set ‘Target API Level‘ to ‘Android 8.0 Oreo (API level 26)‘ or higher in ‘Other Settings‘ area on Inspector view. By just this change, you can resolve this error.